We are second to none in offering Live Broiler Birds. The Broiler Birds we make available are reared in neat and hygienic conditions. Our Broiler Birds are healthy and disease free. 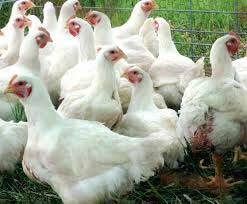 We have well-equipped and maintained broiler farms. Our Broiler Birds are fully-grown and reared specially for meat production. Buyers can obtain the Broiler Birds at market-leading rates from us.